Carrots lend themselves well to sweet treats, containing more sugar than any other vegetable, apart from the sugar beet. They have been used for baking whenever sweeteners were scarce. 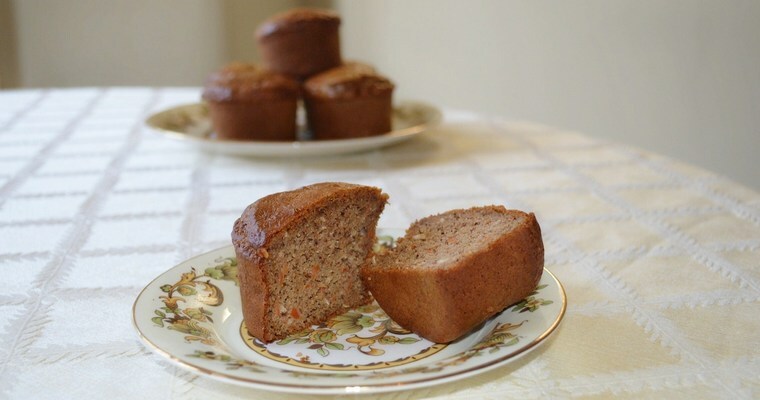 Carrot puddings were popular in medieval times, and experienced a revival during world war two when sugar was rationed. 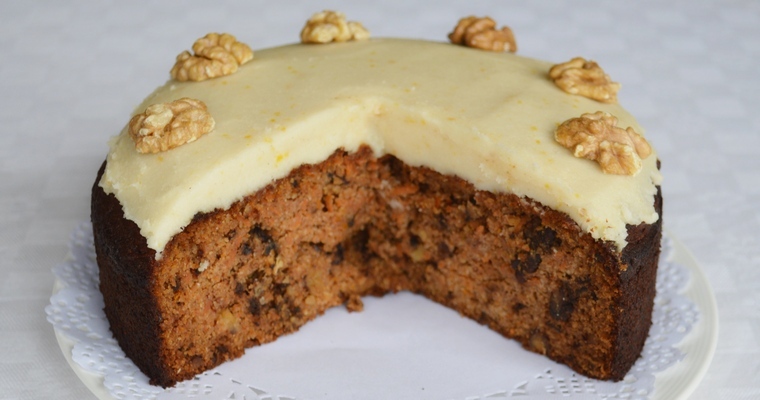 A traditional carrot cakes use vegetable oil for fat, rather than butter. 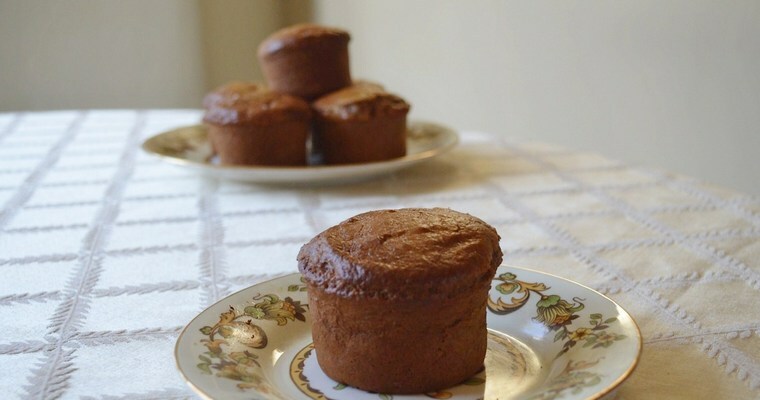 Cakes made with oil preserve longer, as the oil stays liquid at room temperature, resulting in a moist and dense crumb. Cakes made with butter have a drier, finer crumb, and need to be eaten within a day or two of baking before they go stale. This is because oil is all fat, whereas butter contains 15-20% water. For this reason, it is important to make sure you whisk the eggs, honey and oil well, as this will suspend the oil in an emulsion, and stop the cake from turning out greasy. Bake the cake. Preheat the oven to 160°C/340°F. Lightly grease the sides of a 20cm/8″ round, deep and loose-bottomed cake tin with olive oil, and line the bottom with baking paper. Arrange the pecans and walnuts in one layer on a metal tray, and roast in the preheated oven for 8 minutes until lightly browned. Set aside to cool for 5 minutes, then chop. In a small bowl, measure out the dry ingredients (ground almonds, coconut flour, cinnamon, mixed spice, baking soda and salt). Mix the wet ingredients until blended using the same whisk. Add the dry ingredients, Add the dry ingredients, and stir until blended using a wooden spoon. The mixture will be quite thick. Stir in the nuts, orange zest and grated carrot. Pour the mixture into the prepared tin. Smooth the top with the back of a wetted metal spoon. Transfer to the preheated oven and bake for 50 minutes – 1 hour, until golden brown on top and springy to the touch. Frost the cake. Once the cake has completely cooled, make the lemon frosting. Combine all the ingredients except for the coconut flour in the small bowl of a food processor, and blitz until smooth. Add the coconut flour, a tablespoon at a time, until the consistency is just right. Spoon on top of the cake and spread with a palette knife dipped in just-boiled water.